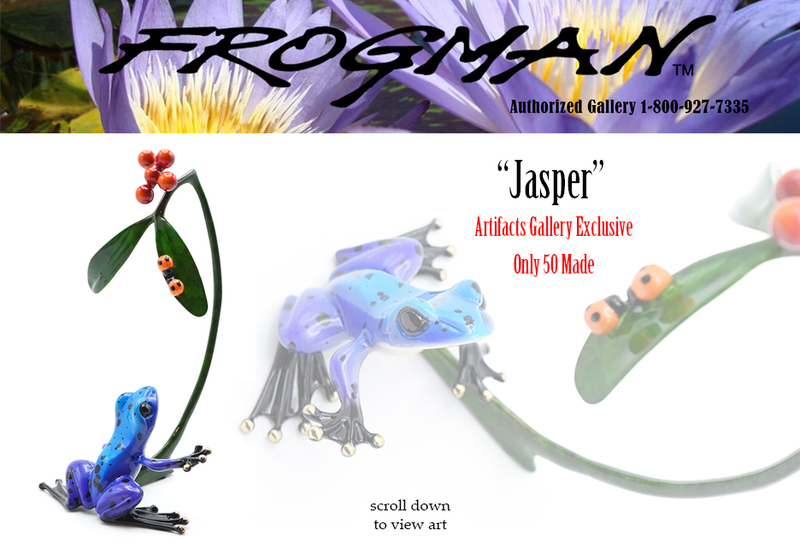 Tim Cotterill, Frogman and bronze frogs are presented by Artifacts Gallery, the world's largest authorized dealer of Frogman, Tim Cotterill art for over 20 years. Located in beautiful Cambria, Ca, we always have the complete selection of Tim Cotterill frogs--all the new releases, rare, hard-to-find frogs, gecko and koi ready for immediate shipping. Scroll down to see the complete collection of the Frogman, Tim Cotterill fine bronze frogs that are currently available. Tim's Paradise from Frogman on Vimeo.